I was at the Budapest Palace of Arts with my friends again and recorded a concert held by the amazing guitarist Tommy Emmanuel. Unfortunately there were many dynamic volume changes and I forgot to adjust the recording level accordingly, so there are clips and distortions. The mastering was done in the old fashioned “eq by ear” method. Surprisingly this record sounds better than the previous ones (not counting the distortions), low-end is much finer, but the highs are still missing (shame on you, MuPa sound engineers). 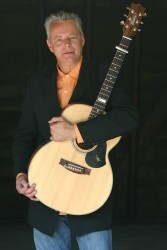 Tommy Emmanuel bootleg « Tommy Emmanuel C.G.P.